Whether you run a small startup or a large e-commerce website, search engine ranking can make or break your business. According to recent data, 53% of the entire world’s population will have accessed the internet by the year 2021. This is a staggering percentage that manifests in billions of potential visitors, followers and loyal customers for your website. However, with the ever-growing competition both in your industry and outside of it, ranking your site becomes more important than ever. Data also points to the fact that 61% of marketers already make SEO optimization and search ranking their main priority in terms of internet reach and visibility. Let’s take a look at several tactics, tips and guidelines which can help you gain the upper hand and improve the overall SERP ranking of your pages. The first order of business in terms of search rank optimization should be to do a complete audit of your site’s content. Make a list of every article, blog post, product and page present on your live website. Categorize these pages according to their topics, fields of interest, product category and other filters which correspond with your industry. Once you have a clear picture of the current state of affairs of your content, you will have a much better idea of the direction you should take with further SEO optimization. Remember that each small detail you fix during your initial audit will already add to your search engine optimization efforts in a big way. Sitemaps allow search engines such as Google, Bing, and Yahoo to quickly scan your site and rank it accordingly. These small files can make a huge difference in your overall ranking since your site will become easier to gauge and subsequently rank higher than before. Since you are hot on the heels of your content audit, you can use the page lists and categories you created recently to create the sitemap itself. Your sitemap should also be present in the footer of your website for advanced users who want more control over their browsing experience. Metadata manifests as the one-to-two sentence text under each search engine result. This gives the reader a glimpse of the content they searched for through Google or an equivalent search engine. You can easily make this system work in your favor by adding short Meta descriptions in each of your pages. This is especially important for your blog posts, discussion pages, product descriptions and other specific places on your site. In doing so, you will allow the search engines to quickly figure out how relevant (or irrelevant) your content is to each specific query they receive. If someone searches for “graphic design agency” in Bing, you want to make sure that your graphic design agency shows up as close to the top of the page as possible. Metadata can help you achieve that goal through a very small scale but important content optimization. Given the fact that so many visitors come from international waters, you are bound to receive traffic from all over the world. However, each language has its own SEO rules which need to be followed if you want to rank well in those regions. For example, keywords that make perfect sense in Germany or Austria make very little sense in China, Korea or Japan. In that regard, platforms such as Google Adwords, SupremeDissertations, GrabMyEssay and SEM Rush can help you optimize your SEO for different regions with keyword lookup and local writers/translators. You should avoid manual keyword optimization without an in-house native speaker, a professional translator or a bilingual copywriter. While platforms such as Google Translate do work in a basic sense, they are not fit for site-wide SEO optimization, especially when search engine ranking is in question. Given the mixed nature of online content, you are bound to feature images, videos and other multimedia materials on your website. However, you should avoid posting these content types on your website directly without a third-party intermediary. Sites such as Imgur and YouTube are great gateways for you to post content on different platforms and link it back to your main website. This can be done in order to decrease the load times of your individual pages as well as to make your site easier to access and require less bandwidth to do so. It’s also a good idea to cut back on plugins, both active and dormant on your website. Each plugin you feature will make the site longer to load and harder to maintain going forward. Use only the essential plugins needed for your site and business to operate efficiently without relying on trendy or flashy plugins that serve no practical purpose. 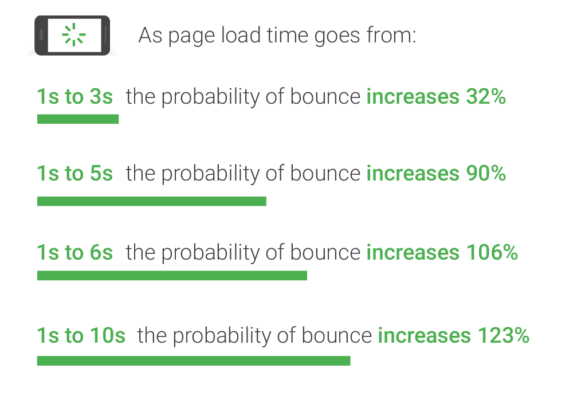 Not every hit you receive will come from a high-speed internet access point so make sure to meet your visitors halfway and lower your load speeds as much as possible through technical content optimization. A large focus on internal traffic can make your site look closed off from the general internet. Too many external links, however, and you run the risk of coming off as spam and as someone with very little original to offer to readers. This is why you should aim for a balance between internal content and external resources in every page on your website. It should also be noted that the number of links in each page should be limited to a certain number. Don’t add links in each sentence of your content in order to make the writing legible and navigation easier to comprehend. While this concerns the end-user more than search engines, it can still affect your website’s performance and conversion rates quite a bit. It goes without saying that the content you publish on your website should be relevant to the target audience you aim to attract. However, it’s also important to implement these tactics on each subsequent piece of content that you will create going forward. Optimize content for SEO, maintain low load speeds across the board and don’t rely on cheap spam tactics to grow your audience. The more professional and respectful you treat your visitors, the more customers you will retain over time. Bio: Bridgette Hernandes is a Master in Anthropology who is interested in writing and planning to publish her own book in the nearest future. She finished her study last year but is already a true expert when it comes to presenting a text in a creative and understandable manner. Bridgette is a frequent contributor and a writer at IsAccurate. The texts she writes are always informative, based on a qualitative research but nevertheless pleasant to read. Take your digital knowledge past SEO!